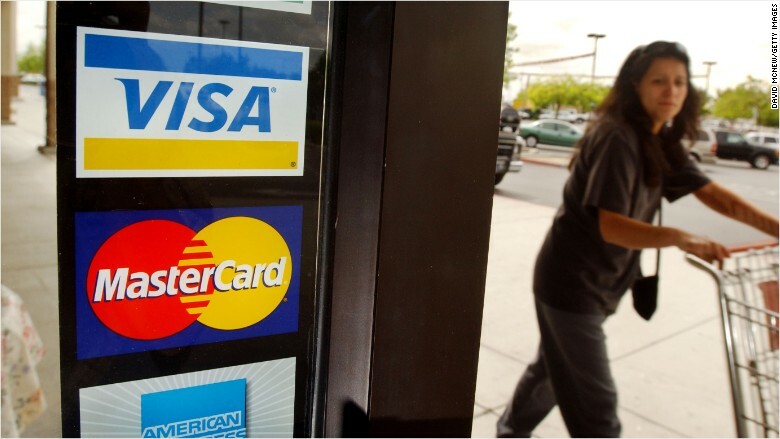 A new lawsuit alleges MasterCard charged illegally high fees in the U.K. from 1992 to 2008. MasterCard is facing a gargantuan lawsuit over claims it ripped off U.K. consumers by charging illegally high fees on store transactions for well over a decade. The class action lawsuit -- one of the first ever launched in the U.K. -- was filed Thursday. It claims MasterCard (MA) should pay 14 billion pounds ($18.6 billion) to millions of British people for imposing unlawful card charges between 1992 and 2008. "Consumers were unaware of the level of these fees or that they were illegal," law firm Quinn Emanuel said in a written statement. "All U.K. consumers ... not just MasterCard holders -- have lost money as a result." The law firm argues MasterCard's excessive fees forced retailers to hike prices across the board, and every shopper lost out as a result. It estimates 46 million people were affected. Quinn Emanuel is acting on behalf of Walter Merricks, a lawyer and former head of the Financial Ombudsman Service, an authority that tries to resolve complaints against financial services firms. MasterCard said in a statement that it would "take time to review [the claim] in detail, however, we continue to firmly disagree with the basis of this claim and we intend to oppose it vigorously." It may be 2018 before the case goes to trial, but the two sides could settle before then. The lawsuit builds on decades of investigations and rulings by the European Commission on the fees charged by MasterCard in the European Union.